Dahn Oudh Al Shams Special Edition is a popular perfume by Ajmal for women and men and was released in 2008. The scent is resinous-woody. Projection and longevity are above-average. It is still in production. There is a difference between the two, and this is the strength. If you wear Dahn Oud Al Shams in the evening, both fragrances will still be there in the morning. However, it is the Special Edition that survives a hot shower! Natural oud oils generally seem to be most complex, demanding and animal when applied, and then calm down to a more easy-going musty woodiness. The Special Edition was able to keep a bit more of the animal aspect from the beginning during its drydown. The difference may very well be compared to that between Eau de Toilette and Eau de Parfum strength in western perfumery (and according to our policy the Special Edition maybe should not be listed seperately in the database). What I also like about these Dehnal Ouds is that they come as 30 ml sprays, not as pure oils. This is very rare for something called Dehnal Oud. Being used to western perfumery I can more easily valuate what I get for the money if it comes as a spray. I have doubts whether a tiny 3 ml miniature bottle of Dehnal Oud oil really contains the same amount of fragrance that we usually get out of a 30 ml spray flacon. I also have the impression that some kind of fixation might have been added to the Dahn Oud Al Shams fragrances, which is a good thing. So, at least for while, they keep their level of loudness which usually the pure oils do not. The pure oils may be intense on skin according to the applied amount but immediately start fading gradually. I have to thank JPHx for kindly sending me a sample of the Special Edition. I own the original, and I think it is outstanding. It comes near to what I consider a perfect fragrance, and indeed, next to Guerlain's Chamade pour Homme, Dahn Oud Al Shams has become my favourite fragrance. I wear it a lot! 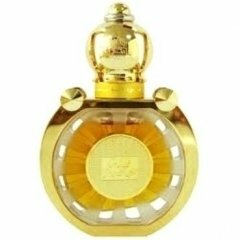 I just ordered Dahn Oud Al Shams Special Edition, and another bottle of the original from ASF-Dubaishop, and I hope it will work out. Both versions of Dahn Oud Al Shams can be considered bargain buys IMHO. They are 61 and 95 USD plus shipping plus duty tax – this is about where niche perfumery starts! I think about a sample giveaway of the original Dahn Oud Al Shams. The problem with the Arab fragrances is that nobody offers samples – and even The Perfumed Court has only the cheaper Mukhallat of Dahn Oud Al Shams, which is a blended version. This outstanding fragrance deserves to be promoted a little bit! Dahn Al Oudh Al Shams Special Edition by Ajmal. A truly awesome and extreme oud of which only a mere touch is required in order to savour this potent perfume. This one is not for the faint hearted; so if you are a novice to oud or perhaps prefer the very soft, light and sweetened offerings that have flushed through more western discernment in recent years ... do be warned. Literally striking - going straight to the centre of one's head, searching out the tumaceous parts of the brain that have lain dormant, this can be deemed quite exquisite. Depending on preferences and perceptions along with personal chemistry, some may find this Special Edition quite vellicating and sharp - giving a sensation of being dragged by the nose through an unbridled olfactory, roller-coaster ride. Yet to others this deep and rich aroma could be instant bliss. If you are feeling adventurous and wish to temper this wonderful redolence, anything is possible. Do add a touch of this heady scent to your favorite Taif Rose, Amber, Sandalwood or Incense - even a misting of vanilla, patchouli or honey. Find what suits you. Layer, explore and make it your own. Write the first Review for Dahn Oudh Al Shams Special Edition!